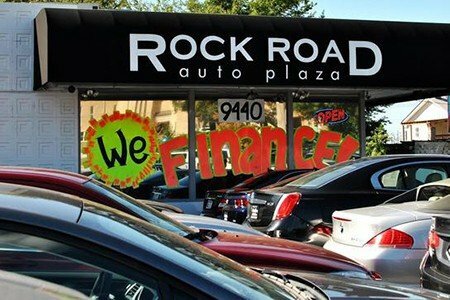 What Can Rock Road Auto Plaza Help You With Today? Want to take care of your automotive situation? Then it is time to plan a visit with the team of experts awaiting you at Rock Road Auto Plaza. Whether we dig deeper into the great new vehicles found at our convenient St. Louis location or create a connection to the largest selection of parts and maintenance, we have no doubts the trusted of experts at Rock Road Auto Plaza have the skills needed to help you come to the best conclusion possible for your automotive needs. Tired of fighting with less-than-stellar service from other dealers? Then take a minute to join us as we offer up some guidance and help you connect with the correct team of trusted Rock Road Auto Plaza experts. On the subject of new and pre-owned vehicle sales, our sales department is clearly at the top of the industry in the St. Louis region. From giving you the inside scoop on all of the latest offerings from to putting you on track for the right used automobile (including Certified Pre-Owned s and selections from other manufacturers) that caters to your specific situation and budget considerations, we can give you access to the overview you need to make a solid decision. The best reason to connect with our sales group? Our staff members go above and beyond to always give you the space you need to make the right call for you and your family. Only when you are ready to move forward will we give you the the information required to move closer to the new vehicle that is right for you. Whether it is time to tune up your engine or you need a little help getting your vehicle back in shape after an unexpected accident, Rock Road Auto Plaza wants to make one thing clear: We are the leading name in outstanding service that is quick, affordable, and always conducted by trained mechanics.